we ♥ online marketing. and your business should, too. email marketing, search engine optimization, pay-per-click ads, content marketing and blogging are all affordable marketing tactics that pack a big punch. email marketing is an easy and affordable way to communicate with your target audience. we not only write and design powerful emails, but we also make sure they run consistently and continuously. paid search ads, such as google adwords, can drive plenty of qualified traffic to your website – without breaking the bank. we develop, manage, and maintain the effectiveness of these campaigns. "blogging" is more than just an industry buzzword; it's a business necessity. blogs not only improve your search engine ranking, but they also assert your business's authority and help build credibility. we make sure your blog stays fresh, timely and effective. effective search engine optimization takes constant vigilance, as google and other major search engines continuously change their algorithms for ranking websites. we stay abreast of those changes, and make sure that your website does, too. online marketing presents small businesses with the opportunity to generate excellent results with minimal financial investment. 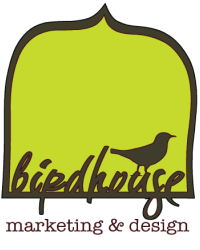 contact birdhouse marketing & design to learn more about how your business could benefit from online marketing.